High-speed wireless that's secure and easy to manage. SonicWALL Wireless Network Security solutions combine high-performance IEEE 802.11ac Wave 2 wireless technology with industry-leading next-generation firewalls. The result is a superior experience for WiFi users that’s as secure as any wired connection. 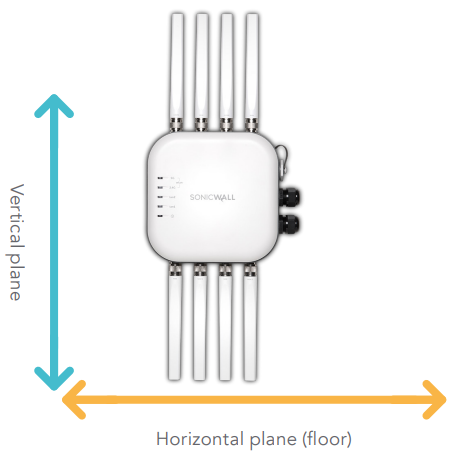 SonicWave APs take advantage of the capabilities in 802.11ac Wave 2 plus features such as band steering and a built-in 2.5 GbE port to deliver highspeed wireless performance. Other features, including 4x4 MU-MIMO and beamforming, improve performance in higher density environments when using bandwidth-intensive applications such as HD multimedia, and cloud and mobile apps. 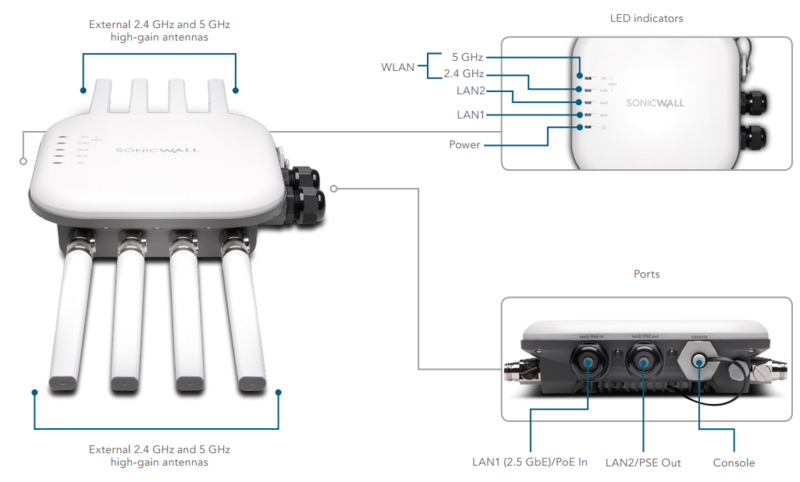 For organizations with a substantial long-term investment in 802.11n, the SonicWALL SonicPoint N2 features an enterprise wireless chipset, dual radios, high-speed performance and all the advantages that SonicWALL Wireless Network Security solutions offer. Access point deployment and setup are greatly simplified, reducing total cost of ownership (TCO). Integrated into every SonicWALL firewall is a wireless controller that auto-detects and auto-provisions SonicWave APs across the network. Wireless signal analysis tools provide a visual map to optimize site-based access point placement. Management and monitoring for wireless and security are handled centrally through the firewall or through SonicWALL Global Management System, providing network administrators with a single pane of glass from which to manage all aspects of the network. For organizations with a substantial investment in 802.11ac clients, the SonicWALL SonicPoint series features dual radios, high-speed 802.11ac performance, 3x3 SU-MIMO and all the security advantages that SonicWALL Wireless Network Security solutions offer. High-speed wireless performance and range SonicWave access points are based on the 802.11ac Wave 2 standard, which can achieve a PHY rate of up to 2.34 Gbps while maintaining a higher performance level at greater ranges depending on environmental conditions. Enhanced signal quality The 802.11ac standard operates in the 5 GHz frequency band, which has fewer wireless devices competing for airspace and is therefore less prone to signal interference. Increased wireless reliability The increase in bandwidth capacity and greater number of spatial streams combined with 4x4 MU-MIMO and the improved processing offered by 802.11ac, result in more reliable wireless coverage. MU-MIMO MU-MIMO (Multi-user, multiple-input, multiple-output) technology enables simultaneously transmission from the access point to numerous wireless clients instead of just one. Band steering Band steering improves the user experience by steering dual-band clients to automatically connect to the less crowded 5 GHz frequency band leaving the more crowded 2.4 GHz frequency for legacy clients. 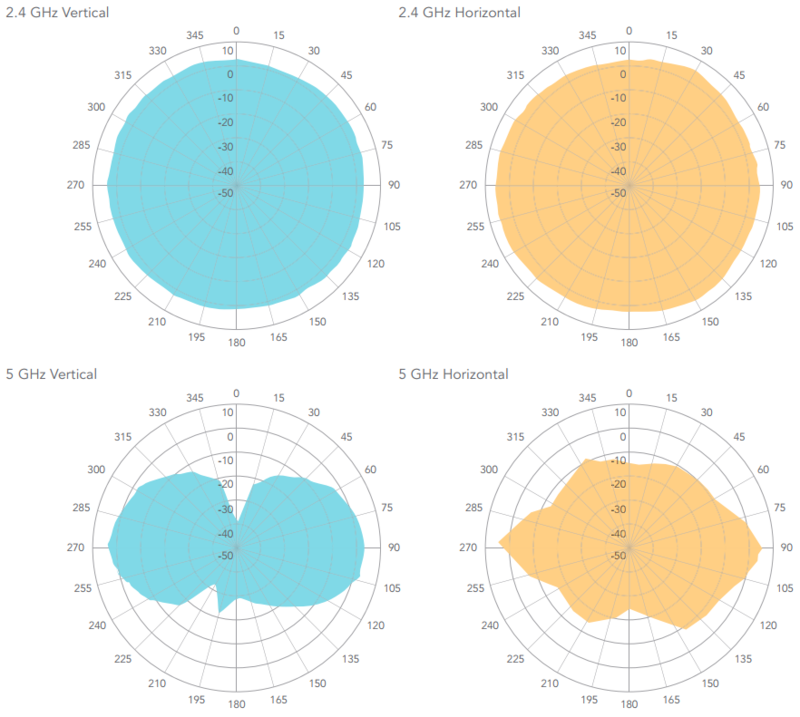 Beamforming Beamforming improves wireless performance and range by focusing the wireless signal on an individual client instead of spreading the data transmission equally in all directions. AirTime Fairness AirTime Fairness distributes air time equally among connected clients, ensuring faster clients get more data in their time while slower clients receive less. FairNet wireless bandwidth allocation FairNet guarantees a minimum amount of bandwidth to each wireless client in order to prevent disproportionate bandwidth consumption by a single user. Reassembly-Free Deep Packet Inspection technology SonicWALL next-generation firewalls tightly integrate Reassembly-Free Deep Packet Inspection (RFDPI) technology to scan all inbound and outbound traffic on wired and wireless networks and eliminate intrusions, ransomware, spyware, viruses and other threats before they enter the network. SSL/TLS decryption and inspection The SonicWALL firewall decrypts and inspects SSL/TLS traffic on the fly, without proxying, for malware, intrusions and data leakage, and applies application, URL and content control policies in order to protect against threats hidden in SSL/TLS-encrypted traffic. Dedicated third scanning radio SonicWave access points include a dedicated that performs continual scanning of the wireless spectrum for rogue access points plus additional security functions that help with PCI compliance. Wireless intrusion detection and prevention Wireless intrusion detection and prevention scans the wireless network for unauthorised (rogue) access points and then the managing firewall automatically takes countermeasures, such as preventing any connections to the device. Wireless guest services Wireless guest services enables administrators to provide internet-only access for guest users. This access is separate from internal access and requires guest users to securely authenticate to a virtual access point before access is granted. Lightweight hotspot messaging Lightweight hotspot messaging extends the SonicWALL wireless guest services model of differentiated internet access for guest users, enabling extensive customization of the authentication interface and the use of any kind of authentication scheme. Captive portal Captive portal forces a user’s device to view a page and provide authentication through a web browser before internet access is granted. Virtual access point segmentation Administrators can create up to eight SSIDs on the same access point, each with its own dedicated authentication and privacy settings. This provides logical segmentation of secure wireless network traffic and secure customer access. Cloud ACL An extension to local ACL, cloud ACL is deployed and managed from a centralized RADIUS server in the cloud. This eliminates local ACL scalability issues, enabling organizations to configure authentication accounts based on their specific requirements. In addition, MAC authentication can be enforced on all WiFi-enabled devices even if they are not capable of 802.1x support. This adds another layer of protection to the wireless network. Multi-RADIUS Authentication Multi-RADIUS Authentication provides enterprise-class redundancy by enabling organizations to deploy multiple RADIUS servers in active/passive mode for high availability. Should the primary RADIUS server fail, the managing SonicWALL firewall discovers the failure and switches to the secondary server, ensuring wireless devices can continue to authenticate. Further, multi-RADIUS authentication can be supported on each virtual access point and configured for WPA-Enterprise, WPA2-Enterprise or WPA2-Auto-Enterprise mode. Granular security policy enforcement Network administrators can implement and enforce firewall rules on all wireless traffic and control all wireless client communications to any host on the network - wired or wireless. 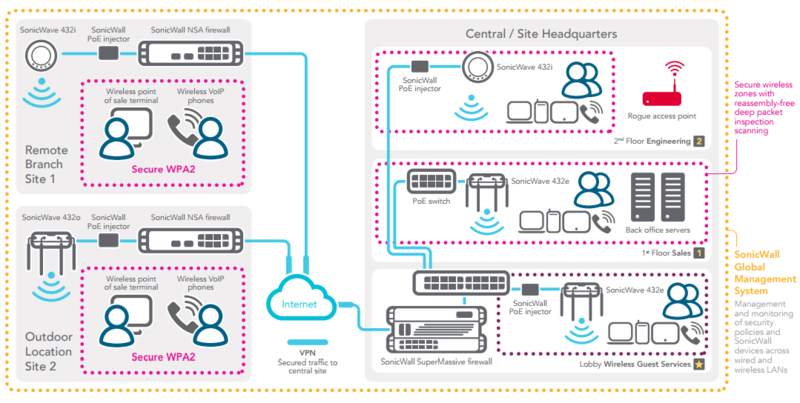 Simplified setup and centralized management SonicWave access points are automatically detected, provisioned and updated by the wireless controller in the managing SonicWALL SuperMassive, NSA or TZ Series firewall. WLAN administration is also handled directly from the managing firewall, simplifying setup and centralizing ongoing management. Wireless planning tool To optimize access point placement before deployment, the wireless planning tool provides comprehensive visualization of the WiFi environment including obstacles that impact signal performance plus both covered and non-covered zones. Floor plan view Floor plan view is a WiFi planning tool that enables users to upload or create a floor plan and place SonicWave access points appropriately to ensure required wireless coverage. Topology view Topology view is a WiFi tool that automatically maps devices and how they are connected in the wireless network architecture in order to aid in troubleshooting. Plenum rated SonicWave access points are plenum rated for safe installation in air-handling spaces such as in or above suspended ceilings. 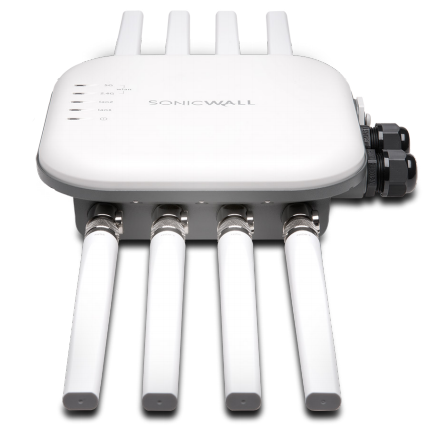 Multiple power options SonicWave access points are powered from a SonicWALL IEEE 802.11at+ Power over Ethernet (PoE) Injector or third-party device for easy deployment where electrical outlets are not readily accessible. Light controls With dimmable LEDs (excluding power), SonicPoints fit perfectly into environments that need discreet wireless coverage. 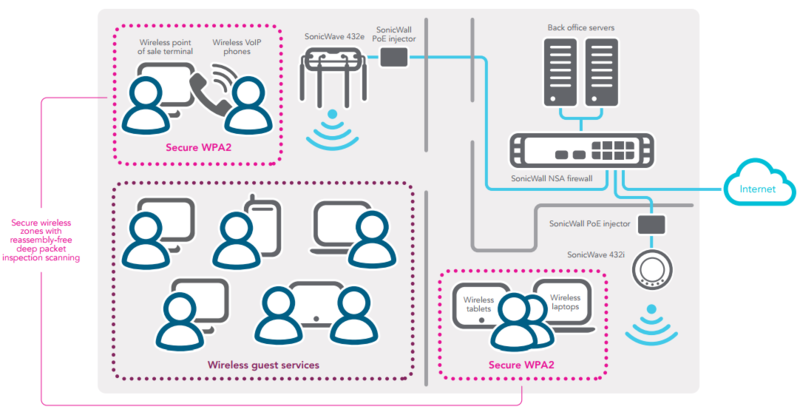 Broad standards and protocols support SonicWave access points support a wide range of wireless standards and security protocols, including 802.11 a/b/g/n/ac, WPA2 and WPA. This allows organizations to leverage prior investments in devices that are incapable of supporting higher encryption standards. Low TCO Features such as simplified deployment, single pane of glass management for both wireless and security, and no need to purchase a separate wireless controller drastically reduce an organization’s cost to add wireless into a new or existing network infrastructure. MiFi extender MiFi Extender enables the attachment of a 3G/4G/LTE modem to the SonicWave access point for use as either the primary WAN or as a secondary failover WAN link for business continuity. Bluetooth Low Energy SonicWave access points include a Bluetooth Low Energy radio that enables the use of ISM (industrial, scientific and medical) applications for healthcare, fitness, retail beacons, security and home entertainment over a low energy link. Green access points SonicWave access points reduce costs by supporting green access points, which enables both radios to enter sleep mode for power saving when no clients are actively connected. The access point will exit sleep mode once a client attempts to associate with it. Includes 24x7 telephone, email and Web-based Support, Software/firmware updates, Advance Exchange hardware replacement.